Welcome to Turbulence Training Day 2. Home fitness workouts that'll burn fat and sculpt your body in 4 weeks. This is day 2 of Turbulence Training's Buff Dudes and Hot Chicks fat burning workout. "Hi, my name's Asad, you can check out my site at Better4Fitness.com. 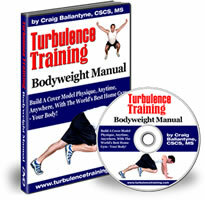 ...Today's day 2 of Craig Ballantyne's Turbulence Training workout that I'm currently testing out. Day 1 was really good, I had a really good workout. Now it's day 2, it's a recovery day, so I'm just taking a nice easy stroll through the park. This kind of light exercise on rest or recovery days, is what keeps the blood pumping, warms your muscles up, starts that recovery and reduces the soreness and stiffness of muscles from the workout in the previous day. And prepares you for tomorrow's workout. And that's what it's all really about - you break your muscle down in the workout, then you rest and recover and build it back up (stronger). So that's another really important point, keeping your muscles warm on the recovery day. It helps them (muscles) regenerate. And getting enough sleep as well. Your immune system will be compromised as it is, because your body will be spending energy building that muscle back up. So make sure you keep warm if you go out. If you go into a park like this, make sure you wrap up (I've got several layers on). So yeah, I'm looking forward to tomorrow's workout. If you want to check out what I'm doing, you can click on one of the links around the screen depending on where you're watching this. I think I'm about to be attacked by a duck(! ), so I better go and I'll catch up with you tomorrow, take care."